I'm instruction in a 1967, PA-32 300. I have a question about the POH recommended engine start procedure. 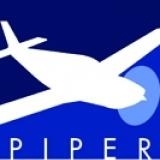 Specifically, why does Piper instruct the pilot to: 'Crank the engine one revolution, then turn ignition switch to the LEFT magneto when the engines fires? Why crank the engine with the mags off, and why start the engine with only the left mag? I can provide a partial answer and guess at the rest. Turning on the left mag (only) during start prevents the right mag--which is not equipped with an impulse coupling from firing at the normal 25 deg before top dead center. The left mag has an impulse coupling that retards the timing during slow (starting) engine rpms to approximately 5 degrees before top dead center. As to the rest, it sure sounds as if the guy who wrote the owner's manual was an old round engine guy because the procedure (sans left mag step) is very close to how I used to start DC-3 engines. I believe the step related to letting the engine turn one revolution before switching on the mag switch is supposed to provide time for the fuel/air mixture to be pulled into the cylinders before the spark is introduced. I compared this procedure against the printed procedure in the 1973 PA32-300 and the only difference is the step to turn the mag switch to left had been changed to: "Engage the starter switch by turning clockwise and pushing in. When the engine fires, release the magneto switch; advance the mixture to FULL RICH. The Bendix magneto switch has a provision that automatically grounds the right magneto during starting; however, that type of switch may not have been installed or, the provision may not have been incorporated in the 1967 airplanes. It must have been incorporated in the 1973 airplanes. I hope this fills in some of the blanks. Thank you Steve for your thoughtful and knowledgeable response. Curious about this procedure, we've started several times without the one revolution mags off, and both mags on and it fired up just fine. I was thinking of incorporating this as our normal start procedure. I don't remember seeing the one revolution, mags off; left mag on start procedure on any other airplane. I don't see how your "new" procedures can cause any problem. The "one revolution before turning on mags" is a complication that isn't very logical unless pilots understand the logic, and if it starts well without that step, it simplifies the starting process. I agree Steve, always smart to keep it simple.